Every winning soccer team has one thing in common: teamwork. That’s why it’s important for their outfits to work together, as well. Choose from soccerloco’s huge selection of discount and wholesale soccer shorts and help your team look and play their very best this season. We carry all the authentic articles from major brands such as Nike, adidas and Puma. Made with advanced materials, these shorts keep players cool and comfortable on hot days and stand up to daily wear and tear, even through tough seasons. With some of the best prices online, fast, flat-rate shipping and our no-hassle refund policy, we’re sure you’ll find exactly what you need. 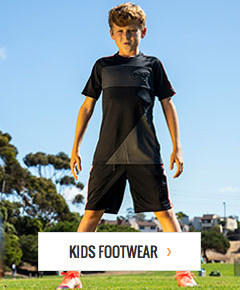 Get all your team soccer shorts and save big!